We already covered the black and white Spring 2013 color trend. Now let’s see what other hues the warm season has in for us. It seems like it’ll be a great season to do color block again. All these brights would play well with each other making for colorful outfits. 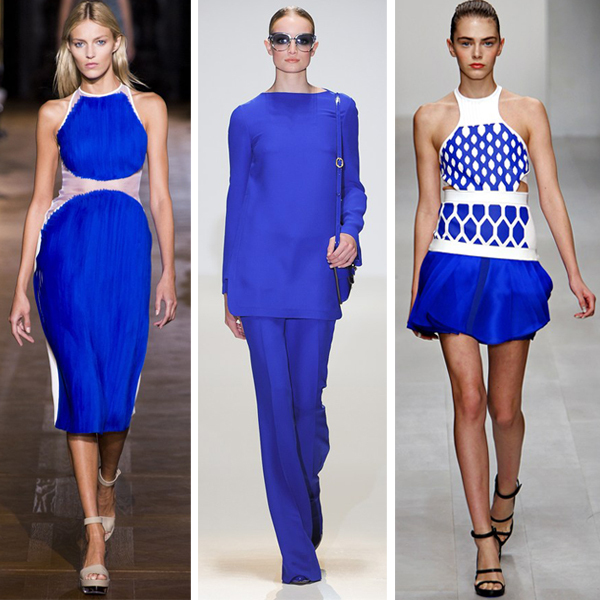 Cobalt blue was quite big this season but in case you haven’t been able to don it yet you can still do so come Spring 2013. This bright color is a great choice for the warm weather but if you like less brights in your style altogether you can go for navy blue, which has also appeared on the Spring 2013 runways. 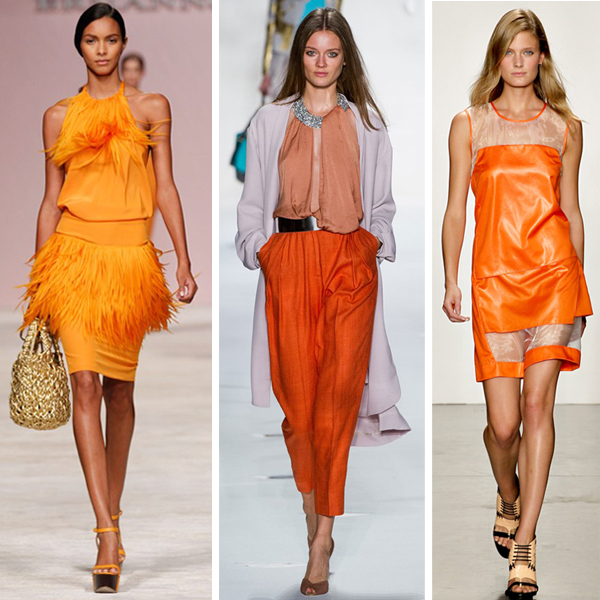 Orange appeared in a number of collections establishing its reign as a color trend for Spring 2013. The vibrant color is eye-catchy, Spring-like and quite wearable. It easily mixes with other brights as well as neutrals like white and black. The red is a classic color so it’s no wonder it keeps appearing on the runway regardless of the season. 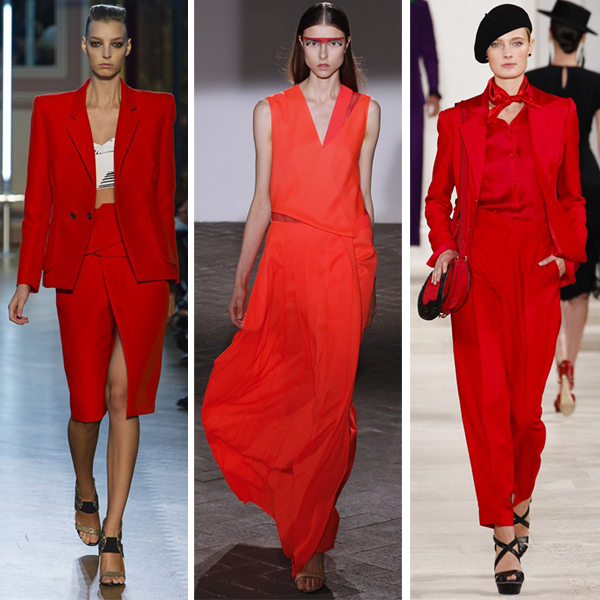 Fiery and berry red was seen in collections of Proenza Schouler, Ralph Lauren, Roland Mouret and other designers. 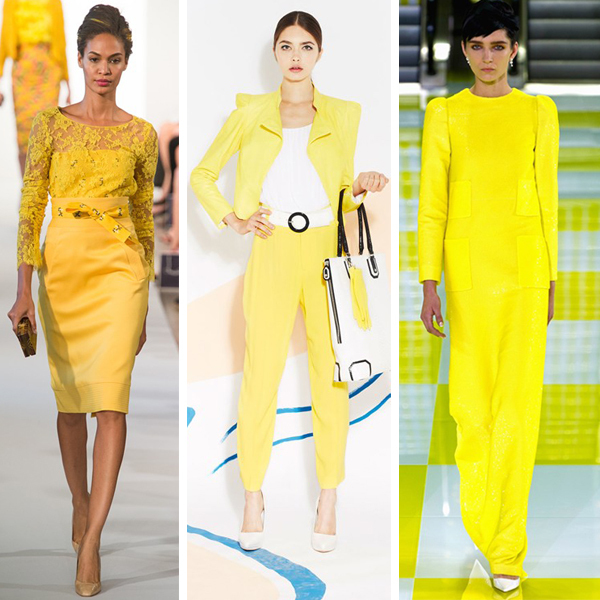 Bright rich yellow is another color trend of Spring 2013. The bright sunny yellow is the perfect color for the Summer 2013. Wear it with whites, blues and in colorful prints. Shades of emerald green, Pantone’s color of the year 2013 were all over the runways popping up at Zac Posen, Gucci, Nanette Lepore, Michael Kors, and other designer shows. Emerald green is a beautiful color and has many hues and shades both dramatic and fresh. 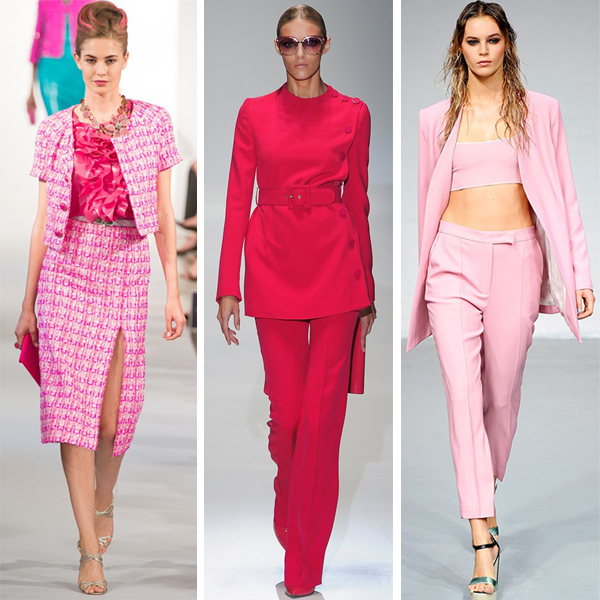 Lighter pink and hot pink is another great Spring 2013 color trend. Oscar de la Renta and 3.1 Phillip Lim went for hot pinks while J.Crew and Honor showed off lighter pinks. Donna Karan went for a shiny fabric in darkened pink for her collection.